To buy Mississippi long term care insurance, individuals must be enjoying good health. And this health qualification aspect makes it important to plan ahead. In general terms, this means buying long term care insurance when you’re somewhere between age 50 and 70 and enjoying good health. Mississippians need to know long term care costs when planning for future long term care needs. Mississippi’s current cost of care and future cost projections, tell you how much long term care protection to have in your retirement plan. A comprehensive study on national long term care costs is from LifePlans, Inc. for John Hancock Life Insurance Company. Their most recent Cost of Care Study surveyed over sixteen thousand long term care providers across the nation. John Hancock Life Insurance Company provides a Cost of Care Calculator. The calculator adjusts long term care costs for inflation. This allows you to better estimate future long term care costs in Mississippi. John Hancock long term care insurance is underwritten by John Hancock Life Insurance Company, one of the largest insurance companies in the United States. Another study on the cost of long term care services is by the Fortune 500 company, Genworth Financial. The Genworth Financial 2018 Cost of Care Survey includes long term care costs of more than 15,000 long term care providers. Following are Mississippi long term care costs from that study. The Mississippi Legislature initiated a tax policy in 2007 that encourages Mississippians to buy long term care insurance. This is a state income tax credit on long-term health insurance premiums. This law allows for taxpayers to get a tax credit of 25% of the premium or $500 of “the premium costs paid during the taxable year for a qualified long-term care insurance policy.” Note this is a State of Mississippi tax credit and is not a federal tax credit. According to information provided from the State Tax Commission, the credit cannot exceed a taxpayer’s tax liability and can’t be forwarded to the next year. The enactment of this legislation back in 2007 was under “Senate Bill No 2237.” Please consult your tax adviser for more information. Currently, Mississippi does not have a Long Term Care Insurance Partnership Program. However, section 6021 of the 2005 Deficit Reduction Act does allow for Qualified State LTC Partnerships. This permits States with approved State plan amendments to exclude from estate recovery the amount of LTC benefits paid under a qualified LTC insurance policy. These long term care insurance policies sold under Long-Term Care Insurance Partnership Programs are known as “Partnership Policies”. Long Term Care Insurance Partnership Programs are three way partnerships. They join The State, long term care insurance companies and the federal Medicaid Program. “Partnership Program” long term care insurance policies must also meet certain federal and state requirements. The purpose of Long-Term Care Insurance Partnerships is to encourage people to plan ahead for how they will pay for future long term care needs. Partnership LTCi Policies provide an extra level of protection, when compared to a regular long term care insurance policy. In particular, such policies permit individuals to protect assets from spend-down requirements under the state’s Medicaid program, if help under Medicaid is ever needed. There are several strong long term care insurance companies offering LTC insurance in Mississippi. 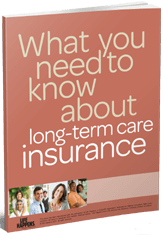 Long-Term Care Insurance Partnership policies often require insurance companies to offer specific policy benefits. This rule can also limit consumer choices in benefit design, but this is not a concern in Mississippi. Let’s consider the situation where someone buys a Long Term Care Partnership policy where they reside and then later move to another state with a Partnership Program. Reciprocity means they will not lose the special asset protection when they move. Their new home state would also recognize accumulated asset protection for Medicaid qualification, if the person were already receiving long term care benefits from their Long Term Care Partnership policy before relocating. Mississippi Long Term Care Insurance policies cost about the same as LTC insurance policies sold in other states. At some ages, Partnership Policies have mandatory inflation protection. This mandated feature of Partnership Policies is not a concern in Mississippi. Where Partnership LTC Policies are available, consumers are advised to compare them to non-Partnership policies. To best understand these differences, we recommend working with an agent specializing in Long Term Care Insurance. Get Mississippi Long Term Care Insurance Quotes!